Reminder: This evening will be our ribbon cutting and dedication ceremony for the new “Williams Station” Station 3 on Beechwood and the newest apparatus “Pumper 9733”. We hope you will join us tomorrow at 6 PM. 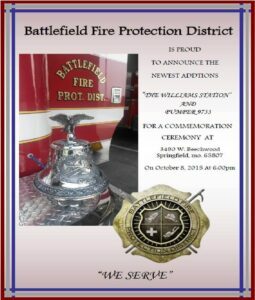 Come see the new station and truck and meet the personnel.